The Massachusetts Dental Hygienists’ Association undertook a robust legislative agenda during the 2017-2018 legislative session that concluded on January 1st, 2019. 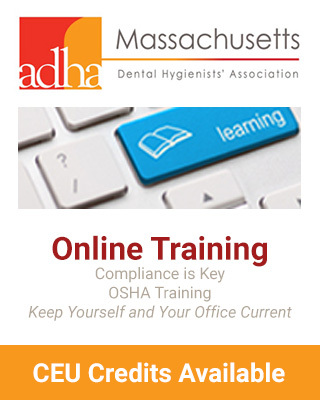 “An Act Relative to Oral Health Access for MassHealth Patients” (MassHealth Mandate). All bills were assigned to specific committees based on their content area. MDHA provided oral and written testimony in support of their legislative initiatives during the respective committee hearings. MDHA was successful in having most of its bills reported favorably from their initial committee assignments which allowed them to continue along the legislative process. Unfortunately, all MDHA bills were sent to study or died in committee prior to the end of the formal legislative session on July 31st, 2018. The exception was the Dental Therapy bill which remained under consideration through the informal session. No further action was taken on the Dental Therapy bill during the informal session; therefore, the Dental Therapy bill died in the Ways and Means Committee when the legislative session officially concluded on January 1st, 2019. The new legislative session commenced on January 2nd, 2019. All new bills must be filed/refiled by January 18th, 2019. MDHA intends to refile all bills from the previous legislative session except “An Act Relative to Oral Health Access for MassHealth Patients” (MassHealth Mandate). Below is the chronology relative to the Dental Therapy bill from the 2017-2018 legislative session. H2474/S1169 “An Act Authorizing Dental Therapists to Expand Access to Oral Health” was introduced for the 2017-2018 legislative session by Majority Leader Harriette L. Chandler and Representatives Smitty Pignatelli and Kate Hogan. The profession’s name was changed from Dental Hygiene Practitioner to Dental Therapist to be consistent with the CODA Accreditation Standards for this new profession. The bill was referred to the Joint Committee on Public Health and heard at the Committee’s public hearing on September 12th, 2017. MDHA provided oral and written testimony in support of the bill at the hearing. H2474 was reported out favorably from the Joint Committee on Public Health on April 24th, 2018 and referred to the Joint Committee on Health Care Financing following private negotiations with the Massachusetts Dental Society from which MDHA was excluded participation. At that point the bill was renumbered and retitled to H4454 “An Act to improve oral health for all Massachusetts residents”. It was reported favorably out of the Joint Committee on Health Care Financing on June 1st, 2018 and referred to the Joint Committee on Ways and Means. Separately, language creating Dental Therapy in Massachusetts had also been included in the Senate Comprehensive Cost Containment and Reform bill. In the final weeks of the legislative session, the House leadership decided to include language creating Dental Therapy in the Comprehensive Health Care Reform legislation that was being debated in the Joint Conference Committee. The formal session concluded on July 31st without the conference committee reaching agreement on the Comprehensive Health Care Reform legislation. While the bill sponsors expressed interest in passing the bill during the informal session, the Dental Therapy bill died in the Ways and Means Committee when the 2017-2018 legislative session officially concluded on January 1st, 2019.